Everyone should be an investor and most people should invest through mutual funds. Mutual funds, particularly index mutual funds, have been shown to be the best way for many people to invest since they 1) provide diversification (which reduces your risk), 2) don’t require a lot of knowledge, and 3) don’t require a lot of time to maintain. In fact, many studies suggest that most investors would actually have better portfolio performance if they invested in mutual funds instead of trying to pick stocks themselves. Most money you’re putting away for retirement should be put into mutual funds since you don’t want to risk ruining your retirement savings with some ill-timed trades. The same holds true for money you’re saving for your kid’s college. That said, there are some people who do well with individual stocks. Very well. Warren Buffett is a famous example, but there are many others. The reason is that when you buy mutual funds, you’re pretty much buying everything, good and bad. There are a few stocks that do a lot better than the rest of the market, but with a mutual fund, you get the whole batch. Individual stock investors are able to pick more of these good stocks and leave the junk behind. If they pick one great stock like a Wal-Mart, Apple, or Amazon in a portfolio of ten stocks, they can do a lot better than they would being invested in an S&P500 fund. But successful individual stock investing takes more than what it takes for successful index fund investing. It is a matter of having an interest in investing, a willingness to learn, and the right temperament for individual stock investing. To find out whether you have what it takes to buy and sell like Buffett, or if you should just take the advice of Bogle and stick to index funds, take our quiz. For each of the areas below, rate yourself on a scale from 1 to 10. 1. How interested are you been in the stock market? 1 – Sounds dull as dirt. 5 – I’d like to learn more about that Dow Jones thing. 10 – I always turn to the business section. Individual stock investing is going to require that you get your hands dirty. You’ll need to read some investing books, newspapers, and magazines, scour the internet and investing guides for stock picks, and then follow through to set up the portfolio and maintain it. It would be much easier to just start up a Schwab account, pick a couple of mutual funds, then send in a check every month or two to purchase more. If you don’t have any interest in investing, maybe mutual funds are for you. 2. How much do you think about business? 1 – I don’t care. Just tell me what to do at work. I don’t want to think. 5 – I’ve been thinking about how different companies operate. 10 – I love to think about different businesses I could start. When you’re investing in individual stocks, you’re taking an ownership stake in individual companies. It is almost like thinking of an idea and starting a company. 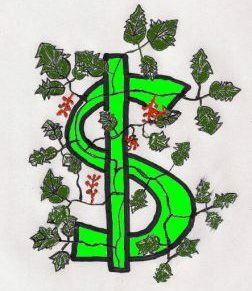 In the least, it is like evaluating a friend’s company for prospects of success and becoming an initial investor. Being able to spot good buys often means being able to spot good companies. You’re looking for companies that have a great product, great execution, and great prospects for growth. Having the mindset of a business owner, rather than that of an hourly worker, helps spot those companies. 3. Are you a numbers guy/gal? 1- I don’t do math. 5 – I tend to like pulling together budgets and doing taxes. 10 – I love getting a chance to put my Excel skills to work and make some plots. Individual stock investing involves screening. You might be looking for companies with certain ratios or even calculating the effective value of a company and deciding if its share price is too high or too low. This isn’t difficult math, but it is math. If math was never your thing, maybe mutual funds are for you. 4. How often do you read blogs and books to learn new skills? 1 – Never. FaceBook, NetFlix, and reality shows fill my time. 5 – I’ve been known to pick up a non-fiction book. 10 – I read at least one non-fiction book per month and use the Internet for learning. The more you know, the better when it comes to individual stock investing. Making mistakes is costly. The more you can learn from others, so that you don’t need to make the same mistakes they did, the better. Make sure that you’re ready to put in the effort to read and study some of the classics before you decide to take the individual stock route. 5. How likely are you to finish books? 1 – I’ll probably stop after a chapter or so. 5 – I’ll eventually finish it if I can find time and nothing is on TV. 10 – I read straight through most books. Just buying books and leaving them on the shelf or in a pile on your desk isn’t going to help you. You actually need to follow through. Sometimes it pays to read a book a few times. If you’re not the type to turn off the TV and the phone and settle in for a good read, maybe individual stock investing isn’t for you. 6. How often do/will you check your brokerage account? 1 – I have it up on my phone all the time. 5 – Maybe once a week. 10 – Once a month or so. People tend to be their worst enemies when it comes to investing. If you are constantly checking on things and trying to make adjustments, chances are you’ll sell just before the big rally and buy as the stock hits new highs and then falls. Plus you’ll pay a lot in commissions and taxes. Most of the gains in the stock market are made within a week or two per year. If you miss those days because you’re on the sidelines, you’ll earn 3% instead of 15%. You need to have the “set it and forget it” mindset with stock investing. Note, the same goes for mutual fund investing. 7. What would you do if your stock went up 10%? 1 – Sell immediately and lock in the gain. 5 – Sell half and let the rest ride. 10 – Let it ride. If you want to beat the markets, you need to find companies that grow and grow, not make some quick gains. Just because your stock went up doesn’t mean that it’s time to sell. If you are constantly worried about winning – selling at a profit and avoiding a loss – maybe you should stick to mutual funds and maybe drop $50 in blackjack once in a while. 8. What would you do if your stock went down 40%? 1 – Sell immediately and curl up in a ball. 10 – Evaluate the company, then make a decision. Individual stocks do move around a lot. Sometimes there is a good reason for a big drop, where something has fundamentally happened at the company and it is time to get out. Other times they miss whisper earnings numbers by a few pennies and get hammered, or the whole market falls and takes the good, bad, and ugly along for the ride. You need to focus on the company and not the stock price if you want to do well in individual stocks. If you scored between an 8 and a 32, you’d probably be best off staying only in mutual funds. You either don’t have the time/desire to put the effort in that is needed to learn what you’re doing or you just don’t have the right psychology. If you’re interested in learning how to invest in mutual funds, check out The Little Book of Common Sense Investing by John Bogle. This guy is the father of index funds investing and will explain why it is foolish to invest in individual stocks anyway. If you scored between a 33 and a 55, you might want to add a common stock or two to your portfolio, putting the rest in mutual funds. Read Bogle’s book on mutual funds, first. Then to get some of the basics, check out The Neatest Little Guide to Stock Market Investing . Once you’ve learned the mechanics, check out The Intelligent Investor and A Random Walk down Wall Street . The Intelligent Investor is by Warren Buffett’s mentor, Benjamin Graham. A Random Walk explains how everything to know about a stock is already priced into a stock, so longterm investing is the way to go since there is no reason to buy and sell based on what you hear. If you scored above 55, you may be ready to set up a portfolio of individual stocks and try to beat the indexes. In addition to reading the other books mentioned, if you want to learn how to invest in individual stocks in a way that gives you a shot at doing so, check out The SmallIvy Book of Investing. I provide a strategy I call “serious investing” where you select a few long-term buys, build up large positions, then hold on until the companies change character or you want to spend the money. 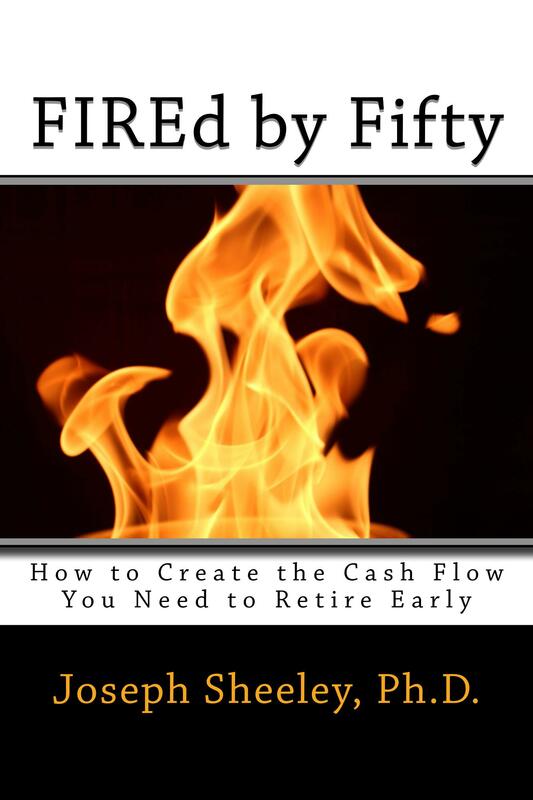 If you enjoy The Small Investor and want to support the cause, or you just want to learn how to become financially independent, please consider picking up a copy of my new book, FIREd by Fifty: How to Create the Cash Flow You Need to Retire Early This is the instruction manual on how to become financially independent. Next How Much Are You Risking in the Stock Market? Understanding Individual Stock Risk. Thank you, andd thanks for visiting!